As Philippines’ Vice President Leni Robredo would put it, the burial of the late President Marcos was like a thief in the night. It was kept from the eyes of the Filipino people. No one knew about it, only an hour before it took place that it was disclosed to the public. 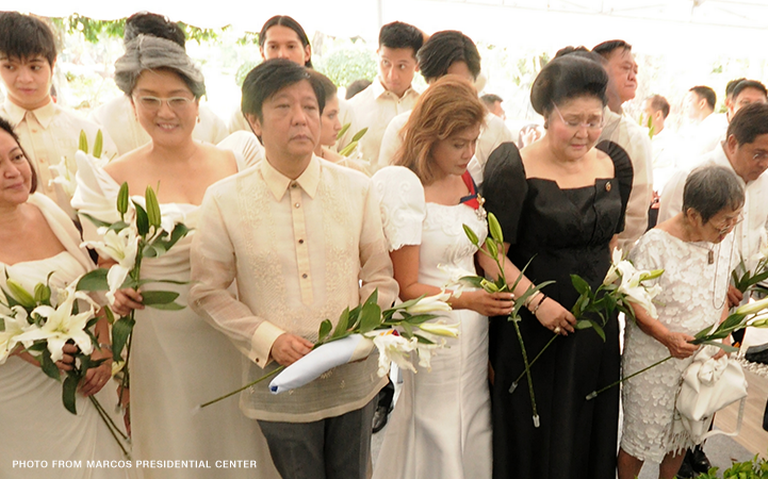 Posted online by his daughter, Governor Imee Marcos, is a video showing the burial event with the hashtag #SalamatAPO. “Apo” is an expression of reverence in Ilocos, the birthplace, and bailiwick of Marcos. Marcos’ burial was approved by President Duterte. This is after 30 years after Filipinos ousted the dictator. 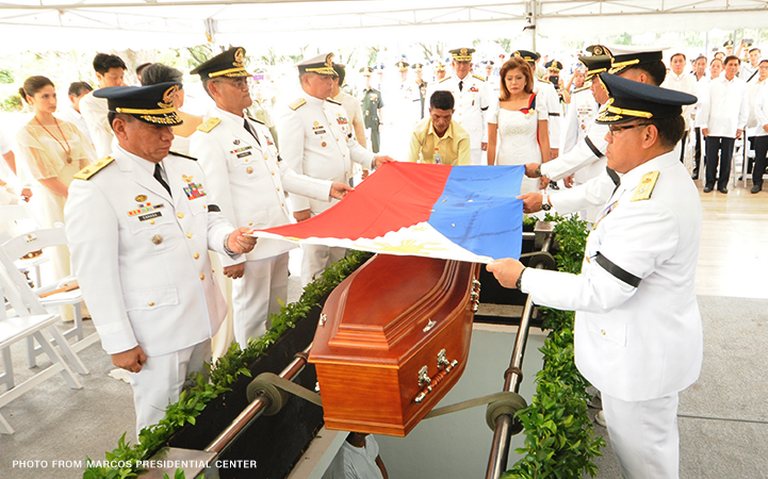 The late president was given full military honors at the Libingan ng mga Bayani (Heroes’ Cemetery). Many of the anti-Marcos who has been opposing the burial of the late dictator Ferdinand Marcos got dismayed. The Philippine Supreme Court last week rejected a petition by human rights victims to stop the transfer of Marcos’ remains to the same resting place of former presidents, national artists and heroes of war. Marcos’ remains were transferred by helicopter from Ilocos Norte province, where it had been kept since it was brought back to the country in 1993. He died while in exile in Hawaii in 1989, three years after he was ousted by a military-backed popular revolt. The country marked the 30th anniversary of Marcos’ ouster this year, with 75,000 victims still awaiting reparation. 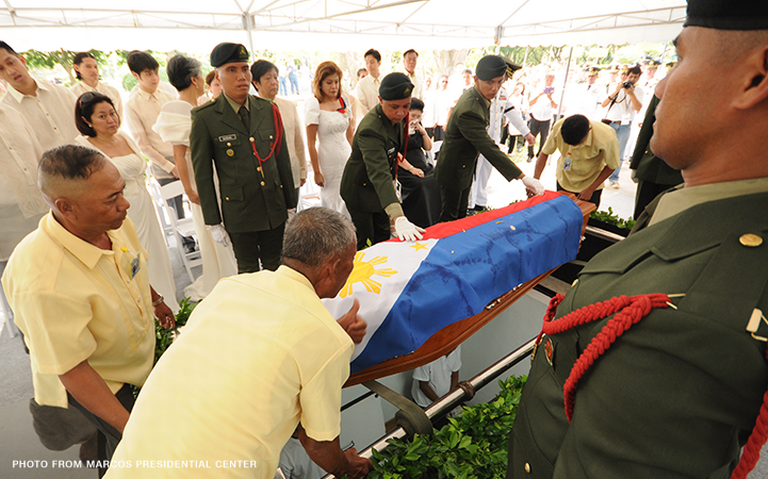 Do you agree to the burial of the dictator in the Libingan ng mga Bayani (Heroes’ Cemetery)? Share your thoughts in the comment section below. Gut Wrenching! Suspicious Husband Uses Drone to Spy on Cheating Wife – VIDEO! !